On Earth Day, April 22nd, FLPC’s director Emily Broad Leib joined author Jonathan Bloom and Mike Curtin, CEO of DC Central Kitchen for a panel discussion on food waste following the television premiere of “Just Eat It: A Food Waste story.” The panel, hosted by MSNBC’s food policy correspondent chef Tom Colicchio, discussed the issues raised by the documentary about the alarming amount of food waste in the United States. Roughly 40% of the food produced in the US is thrown away, despite much of this food still being perfectly safe and wholesome. For example, much food is disposed because it is past its “sell by” or “best by” date. However, these dates are not related to safety, and the FDA does not regulate the vast majority of expiration labels, leaving the decision to states or more generally to manufacturers. The panel goes on to remind viewers that food that destined for the landfill could be given to food pantries, soup kitchens, and other charities if regulatory changes were made. Summer is an exciting time for many children. For food insecure households, families face the prospect of providing more food when school is out, further constraining already-tight budgets. 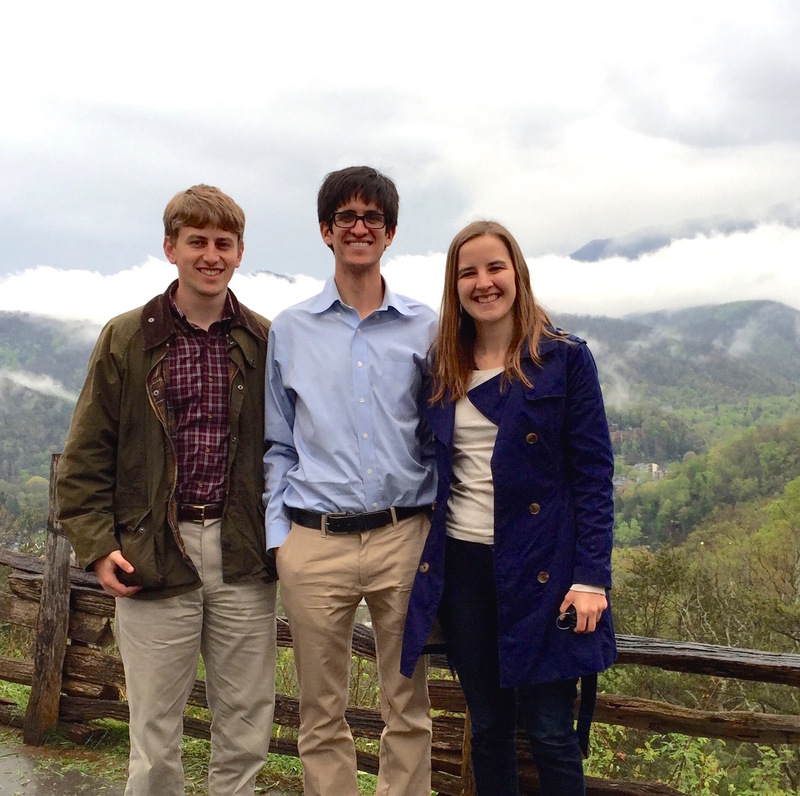 Food Law and Policy clinical student Tommy Tobin (HLS, JD ’16) recently authored an op-ed about summer meal programs in North Carolina. When school is in session, the USDA school lunch program provides much-needed food assistance to low-income children. Unfortunately, the summer months find many of these students with limited access to nutritionally-adequate food. USDA’s Summer Food Service Program attempts to fight food insecurity over the summer. Unfortunately, participation in the program is woefully inadequate in many states, including North Carolina. In 2014, the Center for Health Law and Policy Innovation found that North Carolina’s participation rate was “extremely low” and recommended that the participation in the program be expanded as part of an overall policy strategy to target diabetes prevention and improve health outcomes in the state. Fortunately, new efforts have increased participation in the summer program by 30% in just one year. Increased collaboration between government, non-profits, and foodservice partners has the potential to yield positive results for low-income children and their families. 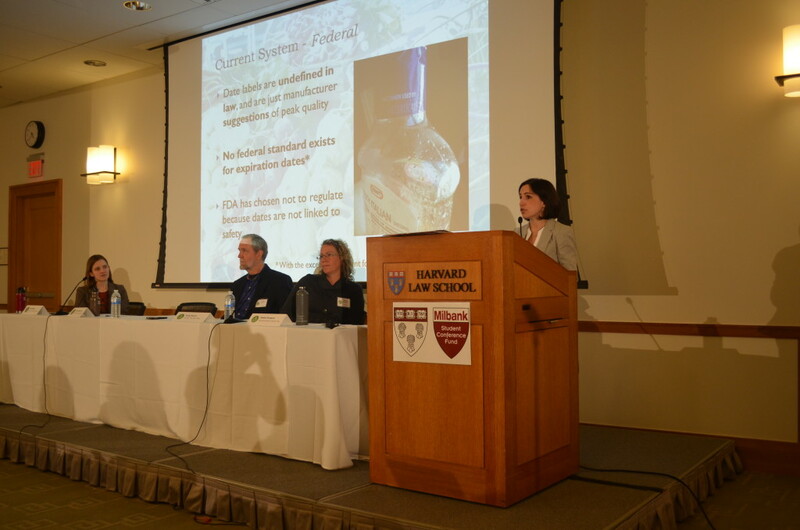 The Harvard Food Law and Policy Clinic (FLPC) is pleased to release a report examining local food procurement efforts by Massachusetts state agencies in light of Massachusetts’ local food preference law. 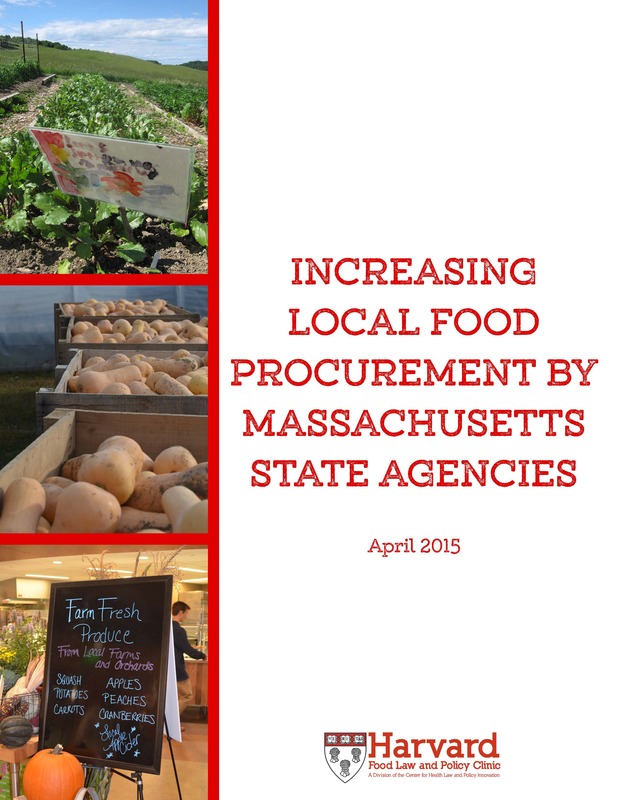 The report, Increasing Local Food Procurement by Massachusetts State Agencies, can be downloaded here; the executive summary can be downloaded here. In recent years, there has been an increasing interest in local food purchasing, and many states have enacted legislation to promote the use of food grown within the state, often with the goals of promoting local economic development and increasing access to fresh, healthy foods. In 2010, Massachusetts amended Chapter 7, Section 23B of its General Laws to require state agencies, as well as state colleges and universities, to prefer foods grown or produced within the state over foods grown or produced outside of the state in their procurement processes. The law requires state agencies to prefer foods grown or produced within Massachusetts so long as they are less than 10% more expensive than comparable out-of-state foods (state colleges and universities are not required to meet this standard; instead, they must make “reasonable efforts” to prefer in-state foods). In 2012, at the request of the Massachusetts Food Policy Alliance (MFPA) and Massachusetts Farm to School (a member organization of MFPA), the FLPC conducted research on Section 23B’s impact on state colleges and universities. Increasing Local Food Procurement by Massachusetts State Colleges and Universities was published in the fall of 2012. As a follow-up to that report, Massachusetts Farm to School requested that the FLPC do similar research and analysis on Massachusetts state agencies’ local food procurement efforts. To complete this project, the FLPC reviewed the Massachusetts law on local food procurement and its history, conducted interviews with diverse stakeholders involved in state agency food procurement in Massachusetts, and researched other states’ local procurement laws. This report details the FLPC’s findings: it describes Massachusetts’ local food preference law and state procurement procedures, identifies challenges and barriers to local food procurement by Massachusetts state agencies, and provides recommendations for how Massachusetts state agencies can increase their local food purchases. The report also provides brief overviews of the nine primary agencies that serve food to their clients, and provides recommendations for each specific agency. Our report finds that while Massachusetts state agencies are required to prefer locally grown and produced food if it is less than 10% more expensive than out of state food, very little local food is being purchased. The recommendations focus on how advocates can increase local food procurement both by working within the existing legal framework and by encouraging future legislative action. Section 23B has the potential to significantly increase local food procurement by state agencies, but its success depends upon the participation of farmers, local food advocates, and agency personnel who are passionate about instituting that change. Last weekend, I joined a group from the Food Law and Policy Clinic (FLPC) and travelled to Montana to track down some expired milk. The team, made up of Emily Broad Leib (FLPC director), Rebecca Richman Cohen (Emmy nominated film maker and HLS grad) and myself (a current FLPC student), are working on a short documentary on expiration dates and food waste. This documentary takes a new angle on the themes of the 2013 Dating Game Report; namely that the current system of food date labeling in the U.S. leads to the waste of safe, wholesome food. While the overall message of the Dating Game Report and the documentary are that expiration date laws across the country need reform and that federal legislation is the best solution, the documentary focuses on one particular law in Montana. In Montana milk must be marked with a “sell-by” date of 12 days after pasteurization. 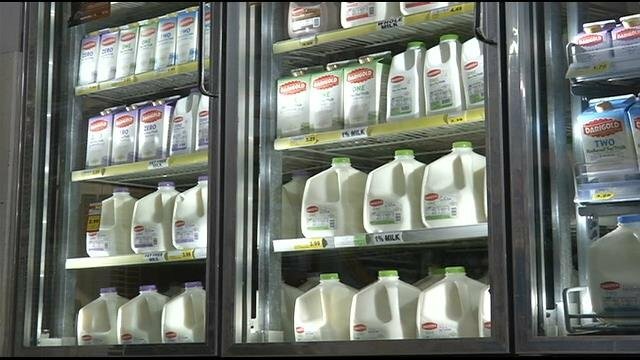 After this date milk cannot be sold or donated, and stores with past-date milk on hand must throw it out (in fact, they cannot even dump it down the drain and recycle the cartons but are supposed to put the full cartons into dumpsters). However, this is not the only waste caused by this law. Many consumers mistakenly believe that date labels indicate the safety of a product for consumption and will therefore throw away past-date milk when it is still safe to drink. Contrary to that belief, milk remains fresh and safe to drink well past 12 days after pasteurization. In most states milk is dated up to 21 or even 28 days after pasteurization and even once pasteurized milk spoils it is unlikely to make people sick due to the fact that the pasteurization process kills any pathogens in the milk. In Montana the FLPC team interviewed different stakeholders including grocery store owners and employees, milk distributors, and a Montana legislator who sponsored a bill earlier this year that would have eliminated the 12-day rule. The team also interviewed a number of people shopping in grocery stores regarding their interpretation of expiration dates and how they take those dates into consideration when deciding whether to purchase and consume food. They also spoke with the local media (KVTQ; NBCMontana; The Missoulian; Missoula Independent). The film highlights this Montana law because it is an extreme example of a national problem. Across the country, confusing and arbitrary date labels on food lead to food waste. The film hopes to draw attention both to the problem of wasted food and to the fact that a solution—through uniform national legislation—is possible. To stay up to date on our work with food expiration dates and FLPC’s other projects, follow us on Facebook and twitter. On April 9th, Ona Balkus of the Food Law and Policy Clinic (FLPC) joined Sonlatsa Jim-Martin of the Community Outreach and Patient Empowerment (COPE) Project on Eating Matters, a radio show dedicated to talking about the food policy issues that shape our everyday experiences of growing, buying, cooking and eating food. They spoke with host Kim Kessler and assistant producer Talia Ralph about improving the food system on the Navajo Nation, which faces some of the worst health outcomes in the US. Ona and Sonlatsa discussed their collaborative efforts to mobilize community members, increase access to healthy foods, and foster food sovereignty on the Navajo Nation. FLPC has been working with COPE and food advocates on Navajo Nation to create a food policy toolkit tailored to the issues facing Navajo Nation. This toolkit will be released this spring. Deans’ Food System Challenge winners will be announced April 29th! We are pleased to invite you to this year’s Deans’ Challenges Demo Day on April 29th from 5:30-7:30 PM at the Harvard Innovation Lab! Join us for refreshments and hear the 20 finalist teams from four Deans’ Challenges showcase their exciting ventures to the Harvard/Cambridge/Boston community. The sponsoring Deans of each Challenge will announce the winners and runners-up and present more than $200,000 in prize money. The Deans’ Challenges Demo Day will highlight the following challenges: Deans’ Food System Challenge, Deans’ Health and Life Sciences Challenge, Deans’ Cultural Entrepreneurship Challenge, and Deans’ Innovation in Sports Challenge. 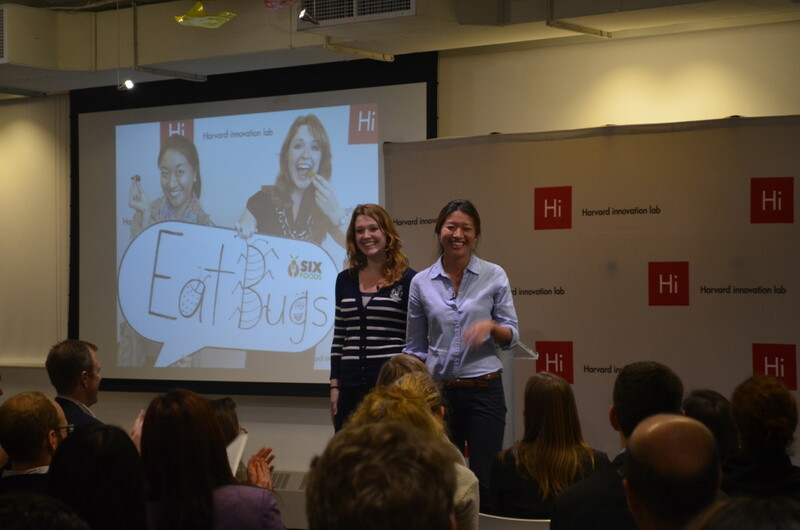 The founders of Six Foods, one of last year’s challenge winners. Each year the Harvard Innovation Lab (i-Lab) organizes a series of Deans’ Challenges that encourage students from across the university to develop innovative solutions to pressing social issues. During the 2014-15 year, the Deans’ Food System Challenge invited creative and entrepreneurial students to develop innovative ideas to improve the health, social, and environmental outcomes of the food system, both in the United States and around the world. 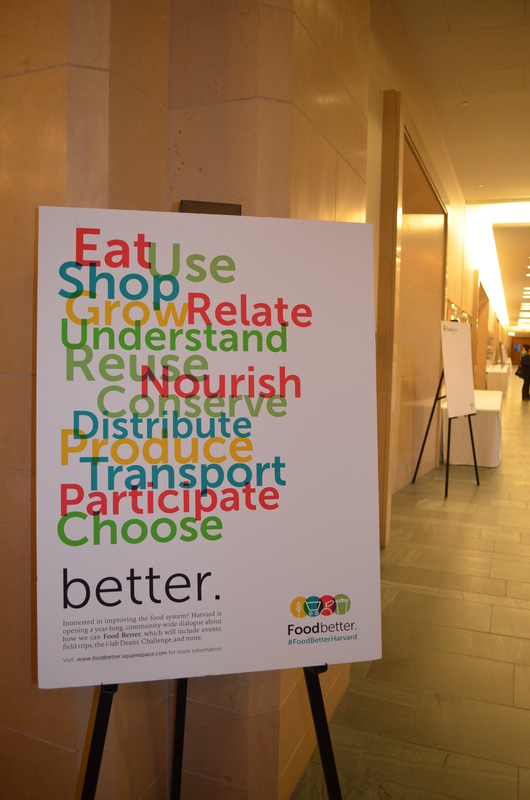 Learn more about the 5 Deans’ Food System Challenge finalists. 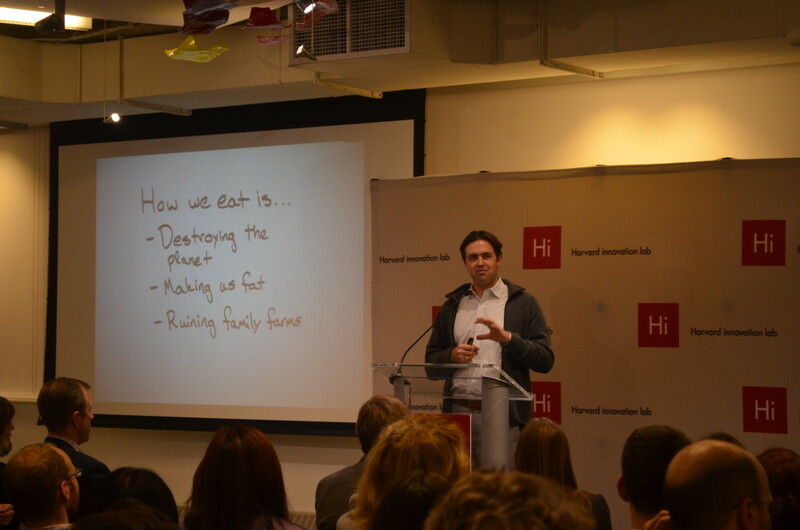 Ayr Muir, founder of Clover Food Lab, at last fall’s Food System Challenge Kickoff. The Deans’ Food System Challenge is co-sponsored by Dean Martha Minow, Harvard Law School and Dean Julio Frenk, Harvard School of Public Health. The Challenge is part of a University-wide dialogue about how the Harvard community can Food Better. We hope you are able to join us for this celebratory evening! Register here. Food System Challenge Kickoff in fall 2014. Last weekend, something amazing happened at Harvard Law School. 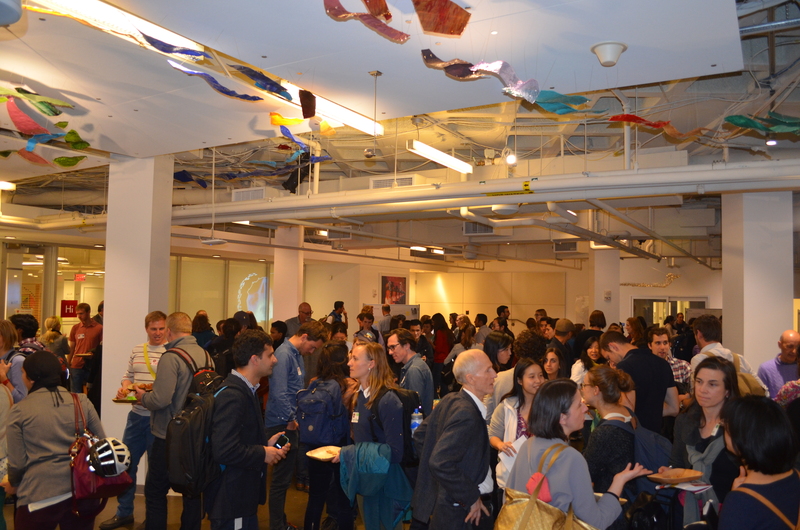 Hundreds of people—philosophers, policymakers, foodies, farmers, activists, anthropologists, nutritionists, naturopaths, and more—buzzed through the halls of Wasserstein for the Just Food? Conference. This two-day conference invited a diverse array of academics and practitioners to consider the human impacts of how our food is produced, distributed, and thrown away. 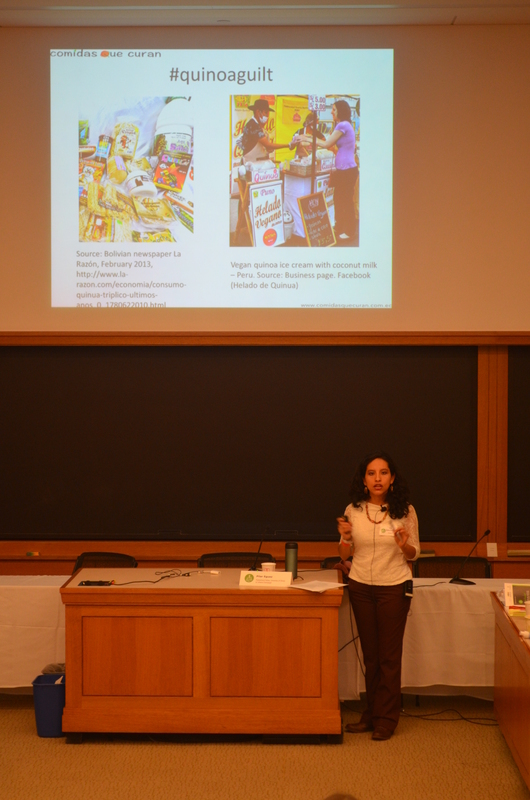 The conference recognized that a conversation about food justice must consider public health, climate change, race relations, workers’ rights, animal welfare, and international trade, among other topics. Much of the trove of knowledge I hauled away from last weekend has brought me greater understanding of the costs of food, costs that are often not reflected in the numbers on price tags in the supermarket. For example, Pilar Egüez, a postdoctoral fellow from the University of Illinois at Urbana-Champaign, educated attendees on the costs of food gentrification: The developed world’s demand for exotic superfoods—like coconut and quinoa—often leaves the people in the communities from which these foods hail economically and nutritionally destitute. Amidst a line of informative tables along the first-floor hall, Mily Trevino-Sauceda, President of Alianza Nacional de Campesinas, shared stories of the countless farm-working women who are victims of daily harassment and discrimination on the job, a job that too often does not pay even a living wage. Natasha Schvey, a postdoctoral fellow from the Uniformed Services University and National Institutes of Health, presented research on jurors’ perceptions of obese female defendants; alarmingly, merely looking heavier may more likely lead to a conviction by one’s peers. And Natasha Bowens, author of The Color of Food, spoke of the struggles that have faced farmers of color in the United States, including discrimination in administration of grants and tough times that force sales of treasured lands to larger farmers. 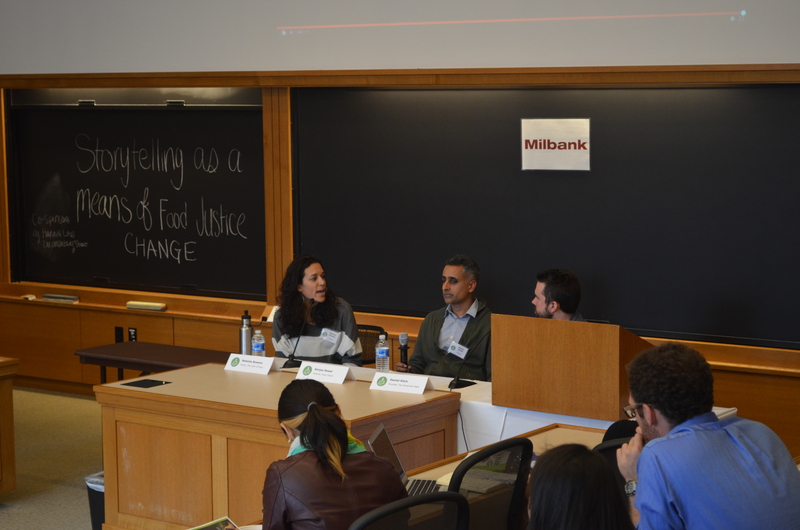 The attorneys of the Food Law and Policy Clinic also played a key role: Ona Balkus moderated a panel featuring Emily Broad Leib on Food Recovery as a Means to Food Justice, and Alli Condra moderated a panel on Visioning and Planning the Food System in New England and Massachusetts. Some recent innovations have begun to make progress on these problems: The Fair Food Program, for example, converts an extra penny per pound of tomatoes into fairer pay for workers of Florida farm fields. 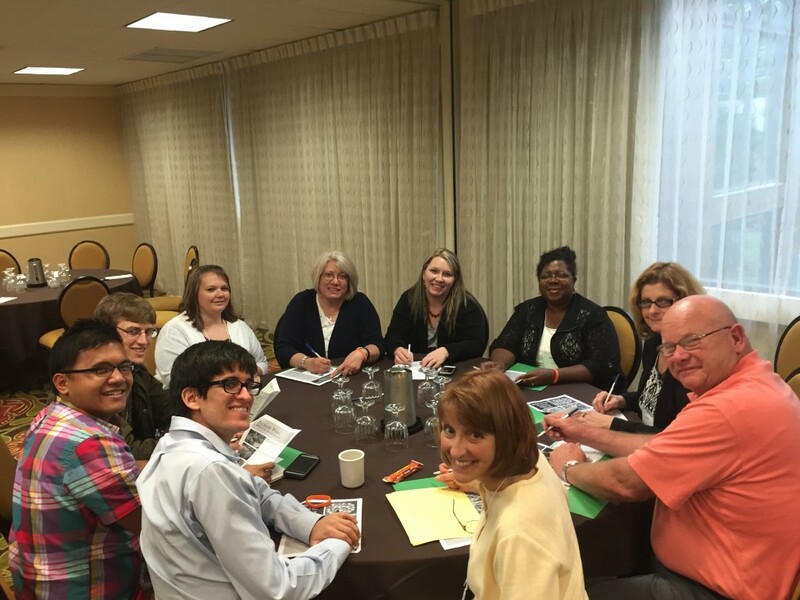 And on Sunday, FLPC staff and others led participatory workshops challenging attendees to develop policy solutions to several of the problems presented at the conference. Finally, consumer awareness is—and will remain—essential. The Just Food? conference brought its attendees a great step forward on that front. It also left us with a message of hope. 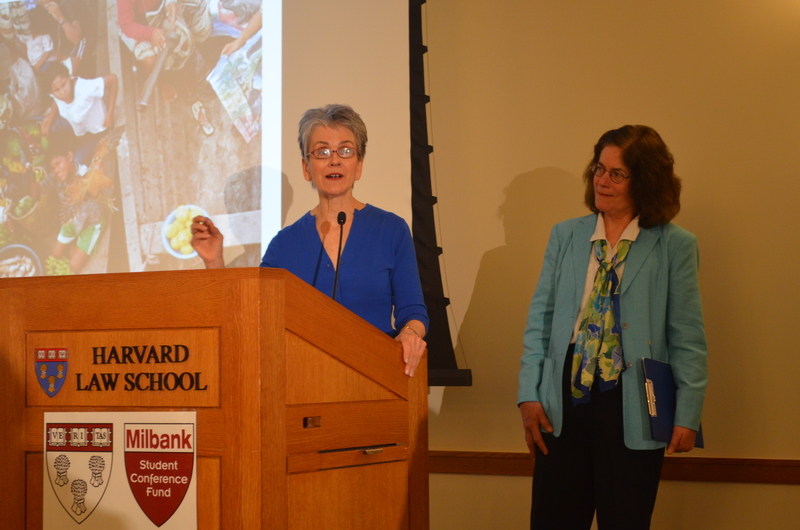 A keynote by Frances Moore Lappé, cofounder of the Small Planet Institute, and Dr. Molly Anderson, Partridge Chair in Food and Sustainable Agriculture Systems at College of the Atlantic, revealed the remarkable success of Brazil’s Fome Zero (“Zero Hunger”) government program. And the conference itself—packed full of passionate people from all walks of life—was a testament to the fact that we will not stand idly by while our unavoidable need for food leads to the perpetuation and perpetration of injustice. How do you Food Better? 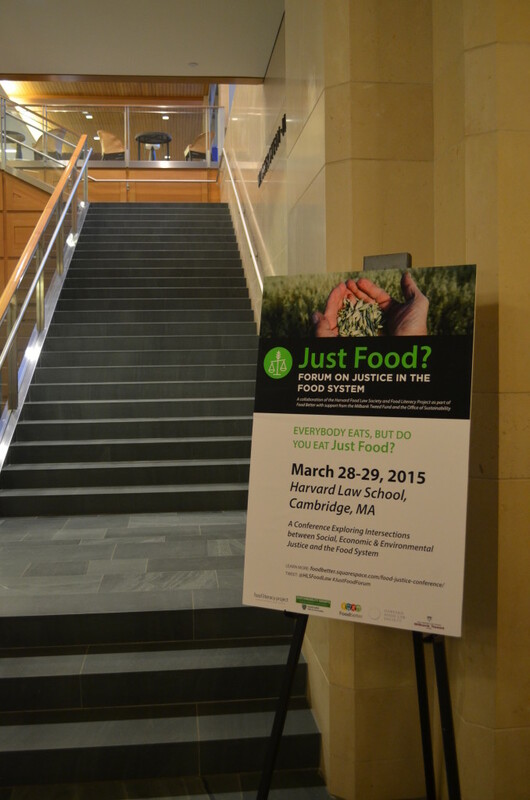 C-SPAN has coverage from the Just Food Conference here. Watch video from the conference here. A photo gallery from the conference is now live and can be seen here. To stay up to date on our work with food justice and FLPC’s other projects, follow us on Facebook and twitter.